Supervillains to The Rescue! 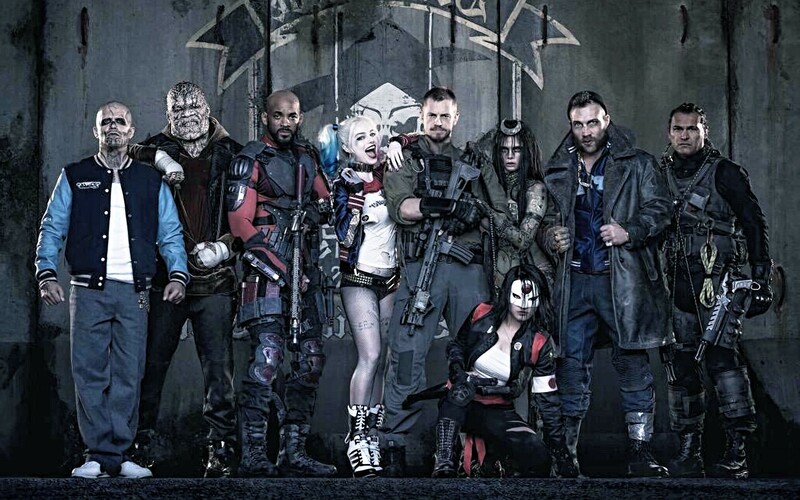 DC’s “Suicide Squad” is Crazy Cool! August 4, 2016 by Hey Mikey! Superheroes save the world. Supervillains want to take it over or destroy it. This is the norm. For years we have watched heroes like Batman, Superman, and Wonder Woman put down the likes of Lex Luthor, The Joker, Cheetah, and other villains. Sometimes however, situations arise that are a little too “unethical” for the average hero, and then it is up to the bad guys to do a good deed and save the day. Enter Suicide Squad! The Suicide Squad consists of a team of supervillains drafted by Amanda Waller (Viola Davis), to take on missions to save the world that are so dangerous they are virtually suicidal! The film picks up where Batman vs. Superman: Dawn of Justice left off from, shortly after Superman’s death. Amanda, feeling another superhuman will arise that does not share Superman’s ethics, believes highly skilled mercenaries and metahumans can be used to defend mankind. She enlists Harley Quinn (Margot Robbie), Deadshot (Will Smith), Slipknot, Captain Boomerang, Killer Croc, and El Diablo to Rick Flag (Tom Hardy) and Katana to stop The Enchantress (Cara Delvingne) from laying west to humanity with a supernatural army. This film was awesome and was definitely made for the fans! Rotten Tomatoes may be giving it “rotten reviews,” but we encourage you to see it and make your own opinion! Unlike Batman vs. Superman this film had some humor to it and was more lighthearted. Jared Leto’s Joker and Margot Robbie as Harley Quinn are truly a match made in madness! The only thing in the film to rival their antics was Deadshot and Rick Flagg’s camaraderie. Will Smith has definitely earned some brownie points back as the assassin on the road to redemption. We especially loved how Enchantress turned out to be the true villain of the film. Taking her down was definitely no easy task, and with her magical powers she definitely would have taken down The Man of Steel! Be sure you catch Suicide Squad in a theater near you nationwide beginning tomorrow!